Kino’s exemplary releases of landmark and lesser-known silent films continues with a pair of DVDs devoted to movies starring the Talmadge sisters, Constance and Norma. 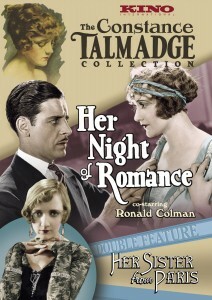 This disc features two entertaining romantic comedies starring Constance and the ever-debonair Ronald Colman. 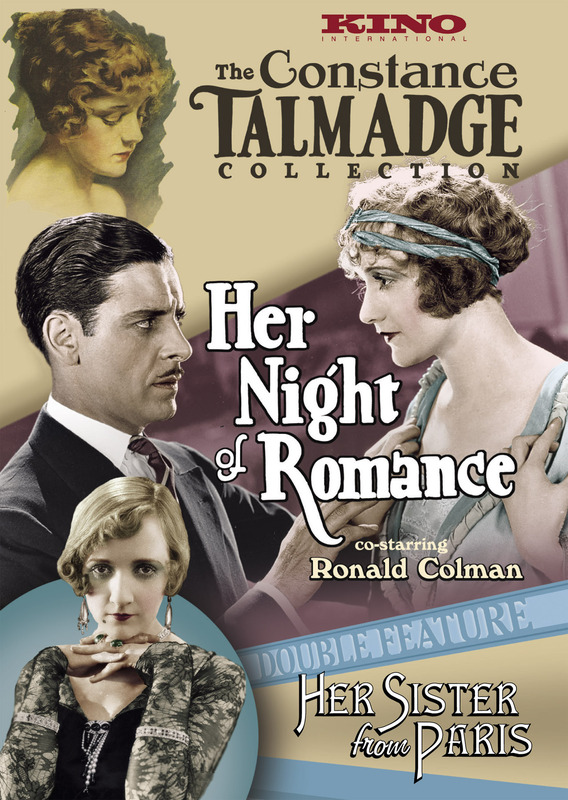 Her Night of Romance (1924) contains familiar plot twists, as Colman plays a con artist intent on marrying heiress Talmadge who, naturally enough, falls in love with her before the two take their vows, and has to reveal his duplicity. The film’s charm comes from its coyness — Talmadge is no jazz-age flapper, but a lovesick millionairess who feels compromised when Coleman stays overnight in the same house with her (“What must the butler think of me?” she says in an intertitle). Her Sister… (1925) piles on the farcical misunderstandings, as Colman once again plays a sleazy rogue, a husband who is separated from dowdy wife Talmadge and wants to seduce her glamorous dancer twin sister — who, by no coincidence, happens to be his wife in disguise. 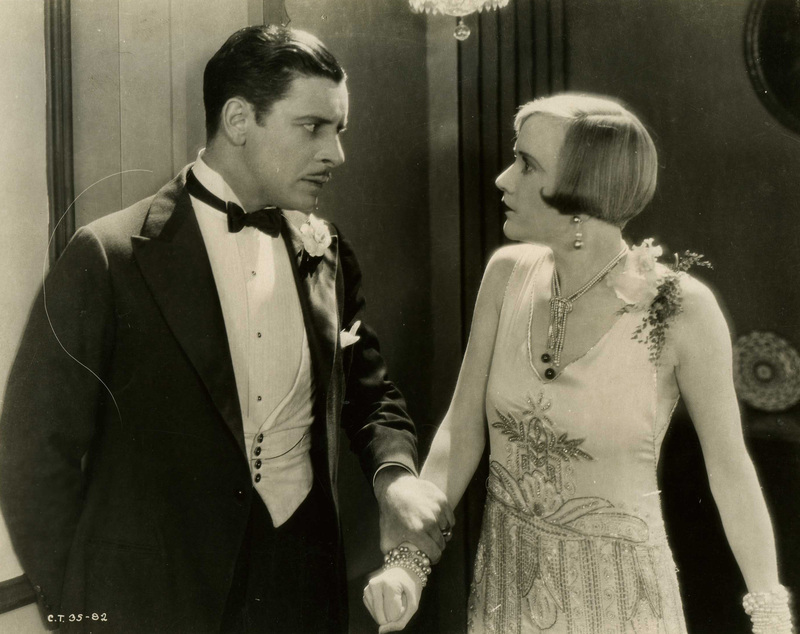 Both films may not quite be up to the standard of Ernst Lubitsch’s stylish comedies (director Franklin’s best-known feature was The Good Earth), but they both are good examples of silent situation comedy. The DVD includes a photo gallery as the only extra, but it’s the films that are the prize. Kino is simultaneously releasing a double bill of Norma Talmadge films on disc, Kiki (1926) and Within the Law (1923).